Navi Mumbai, a properly planned city was developed with the idea to decongest Mumbai. As we all know, Mumbai has become an alternative haven for many people who come here from all over India, this region was conceived as its twin town. A number of localities fall under Navi Mumbai, the newly developed ones being on the south side. Kamothe has rapidly evolved as a residential destination in Navi Mumbai. Located on the Mumbai Pune Expressway, reaching Kamothe is less than an hour’s journey from Mumbai. Kamothe is divided into 48 sectors and is a slum free locality. Growing in leaps and bounds, this area has created a coveted position for itself in the real estate market within a very short span of time. It is also called the jewel of Navi Mumbai and is supported by world-class amenities and infrastructure. Kamothe started developing in 2000 and by 2011, it boasts of many prime projects both in the commercial and residential segments. The rate at which Kamothe has transformed into a premium residential address is tremendous. According to K. R. Jairam, a real estate broker with Green Concept, “Kamothe is enjoying ‘affordable homes-attention’ which it is receiving generously from buyers. A number of people have already shifted to Kamothe, considering the price advantage”. 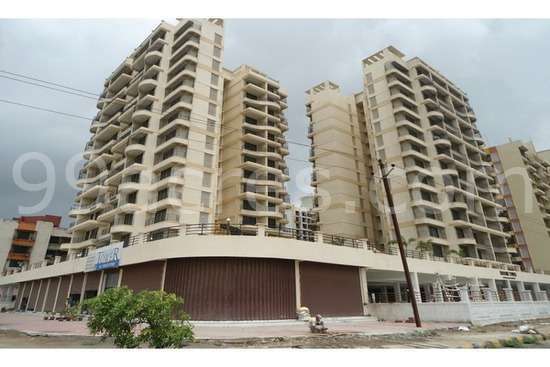 The development of Kamothe can also be credited to its location between the suburbs of Kharghar and Khandeshwar. With the upcoming Navi Mumbai International Airport near Kamothe, property rates are going to appreciate further. Capital rates range from Rs 3,000 per sq ft to Rs 6,000 per sq ft. The rate for a 1 BHK is Rs 25 lakh while for a 2 BHK the rate is Rs 47 lakh. Renting a house in Kamothe can be considered a good decision because the rentals are on a lower side. The rent for a 2 BHK is Rs 8,000 while for a 3 BHK rent is Rs 50,000 more. Bhoomi Homes and Manas are some of the oldest residential complexes of Kamothe. Most of the residential projects here are offering 1, 2 or 3 BHK apartments. The commercial property in Kamothe is not very expensive; the price of a shop is Rs 3,000 to Rs 7,000 per sq ft. One can buy a shop within the price of Rs 22 lakh to Rs 70 lakh. The commercial properties are available for lease as well, the per sq ft rate being Rs 20 to Rs 100. “The infrastructure in Kamothe is superb and the roads here are very well developed. There are no electricity or water glitches in Kamothe. One major concern is that all mobile networks are low and work only in a few selected areas. One should be aware of the wireless communication part as it is a lot of inconvenience”, warns K. R. Jairam. Another drawback is the paucity of green spaces. Most residents miss green patches in Kamothe; it’s more of a concrete jungle with no parks. “There are empty plots where one can spot children playing and this not safe at all”, says Mohit Kale who is living here for the past 3 years. According to residents, plans to construct shopping malls should be deprioritized and instead, parks should be developed. There are adequate utility shops, departmental stores and super markets in every sector. These small markets cater to the daily needs but lately several mall construction projects have been initiated here. The residents have to travel to Kharghar in case they wish to shop in expensive malls. Giving the avid shoppers new destinations to head to, Kamothe will soon have new malls to flaunt. Kamothe is turning out as an ultimate residential and commercial address for many and hence it is emerging as a high-tech metropolis of the 21st Century.